As the periodontist Beverly Hills and Los Angeles residents trust, Dr. Soleymani and his team at the Beverly Hills Periodontics & Dental Implant Center provide patients with a state of the art facility specializing in the fields of periodontics and dental implantology. Here, we utilize exceptional skill to create dazzling smiles and invaluable medical treatment to patients from all walks of life, and our lead surgeon, Dr. Soleymani, provides our team with world-class knowledge and skill, having served as an active member of the dental community for over 13 years. Since opening our doors in 2007, our Los Angeles periodontist office has grown every year, and today, we offer a variety of options for state-of-the-art care that are truly unique to a periodontal specialty office. For example, digital radiography provides immediate and accurate imaging when preparing for periodontal and dental implants. Our advanced digital x-ray technology assists in providing excellent results in a variety of treatments ranging from periodontal plastic surgery to aesthetic crown lengthening cases. The guided surgery methods we employ makes our dental treatment unique amongst our peers by allowing us to place implants with CADCAM (computer assisted) imaging. We also provide growth factors to eligible patients, which have been found to help alleviate or heal a number of dental maladies. By using innovative methods and top quality tools, we’re able to accurately diagnose and successfully treat everything from mild to severe cases, all the while avoiding unnecessary treatments and costs to our patients. That’s why we’re celebrated throughout the Southland as the periodontist Los Angeles trusts first and foremost. In addition to conventional periodontal therapy, we offer safe and effective laser surgery for cases that warrant such treatment. 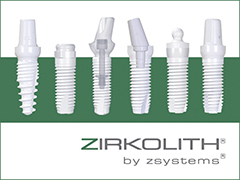 Successful results for our patients is our #1 priority, which is why we only utilize top quality dental implant brands such as Nobel Biocare, Biomet 3I, and Straumann. Today, dental surgeries like gingivectomy, crown lengthening and dental implants have become highly-regarded as essential for those seeking a smile that is truly aesthetically pleasing. 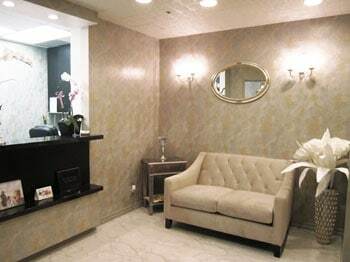 Whether you are a patient or a referring doctor, we proudly welcome you to our Beverly Hills periodontist facility. Don’t allow self-consciousness with your smile, or the devastating effects of gum disease, get in the way of your goals. Contact us today at the Beverly Hills Periodontics & Dental Implant Center, and look forward to truly first-rate dental treatment.